If you follow our blog or any of our social media sites, you’ll know that we’ve recently mentioned some innovative and original uses for our Vitrabond Aluminium Composite Panels: including as a substitute for traditional Standing Seam on The Monarch development in Sydney’s trendy Mosman and as a splashback in the kitchen of a NSW residential property. Like us, you might have also started thinking – what else can it do? Well, this week’s answer is ‘balustrades’. Yes, that is right, we have had a number of architects who have chosen to use Vitrabond panels as an alternative to your usual balustrade materials. However, it probably shouldn’t come as too much of a surprise as ACP is well-known for being highly weather resistant, lightweight, easy-to-install, shock resistant, and virtually unbreakable. All of which are hugely positives attributes when sourcing a balustrade material. 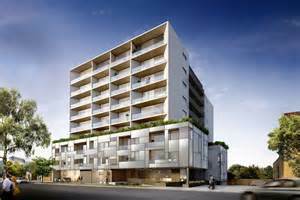 Our most recent balustrade projects are currently under construction in Melbourne. The Mayor Anderson Apartments in Coburg will include Vitrabond balustrades in the colourful combination of “Mandarin Orange” and “Smoke Silver Metallic” as chosen by Metaxas Architects. 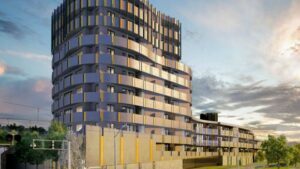 Whilst the Elland Avenue Box Hill Apartments will feature Vitrabond-made balustrades in “Black” as chosen by renowned architectural firm, K2LD. Watch this space for more innovative ways that architects are finding to use Aluminium Composite Panels to replace traditional construction material.